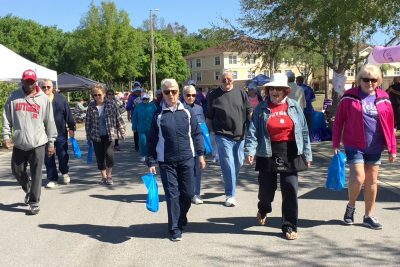 The Retired Officers Corporation at Freedom Plaza and the Sun City Center Area Chamber of Commerce hosted the SCC Mini Relay for Life March 22 at Freedom Plaza. 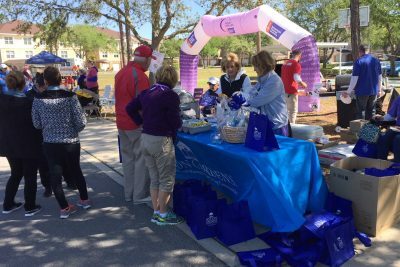 A preliminary total for the American Cancer Society fundraiser was reported to be about $9,400. Last year’s event raised $5,500. It’s not too late to donate. 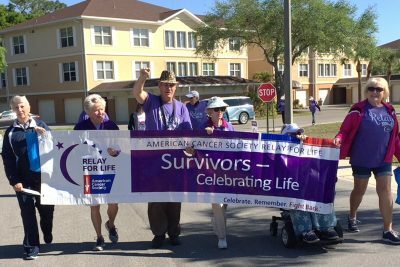 Visit www.relayforlife.org/suncitycenterfl or call Lesko at 813-927-1147. All checks should made payable to the American Cancer Society. A group of cancer survivors finishes a lap during the recent SCC Mini Relay for Life at Freedom Plaza’s Golf View Terrace. 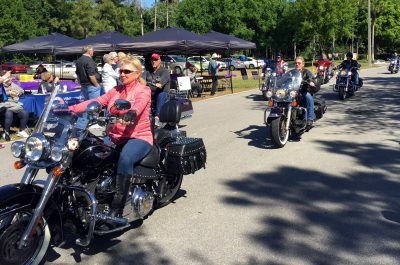 The March 22 event raised $9,400 for the American Cancer Society. 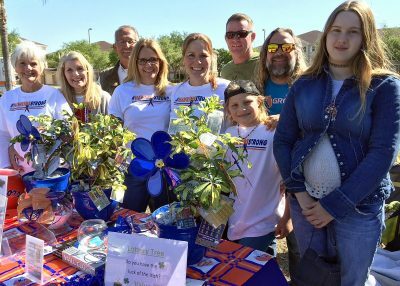 Team #Hawkinsstrong, members of the Ken Hawkins family, turned out to the recent SCC Mini Relay for Life to support him in his fight against colon cancer. In the front row, from left, are Ruth Hawkins, Connie Lesko, Linda Hawkins, Amanda Gary and her children Rayne and Alexis. In the back row are Mike Lesko, Mike Lesko Jr. and Bill Burnes. Missing is teammate Cindy Jones. 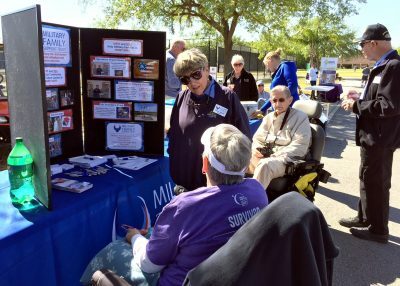 Nancy Alguire, president of the Military Family Support Trust, a nonprofit arm of the Retired Officer’s Corporation, chats with a mini-relay attendee about her organization’s mission. Members of the Kings Point Riders Against Cancer take laps at the March 22 Mini Relay for Life at Freedom Plaza. Aston Gardens Walkamolies team sell hot dogs and hamburgers to raise additional funds for the American Cancer Society. 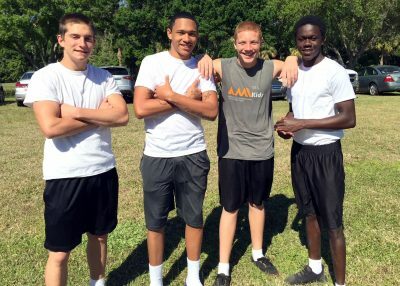 Including an additional event held at the community, Aston Gardens, raised $1,000. 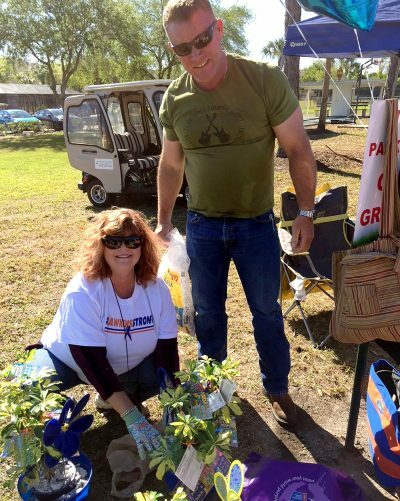 Cindy Jones and Mike Lesko Jr. prepare plants to raffle off at the #Hawkinsstrong table during the March 22 Mini Relay for Life at Freedom Plaza. Walkers approach the finish line during the team lap of the recent SCC Mini Relay for Life. 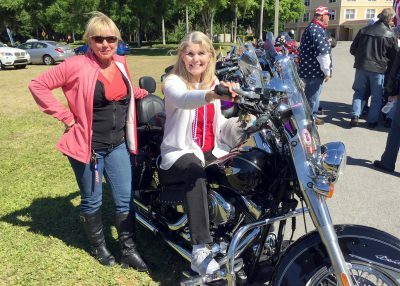 Imagining what it would be like to drive a motorcycle, organizer Connie Lesko takes a seat on Karen Kehlenbeck’s Harley Davidson Softail Deluxe at the March 22 SCC Mini Relay for Life.